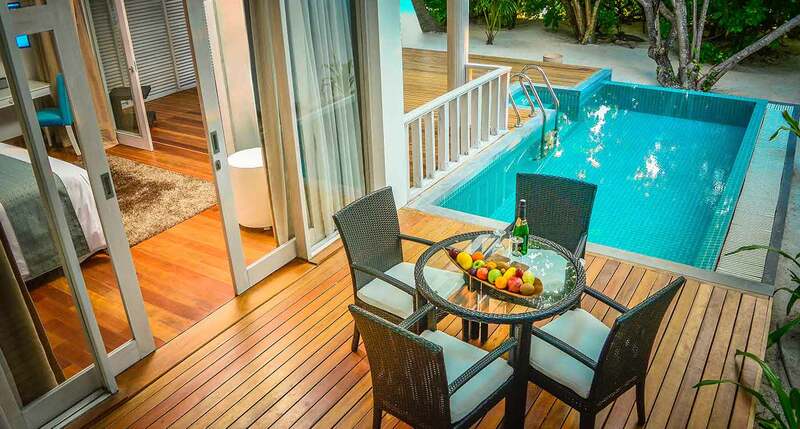 Amaya Kuda Rah is a perfect choice for a Maldives family holiday. This exquisite island resort offers lavish living spaces, numerous activities and variety of entertainment for guests of all ages. Being clean, quiet and child friendly, with a gracious service and daily scheduled activities for kids to be energized and entertained, Kuda Rah offers a wonderful setting for exploring Maldives with kids. In Amaya Kuda Rah, you can relax and enjoy your holiday, whilst your young ones are having the time of their life..
Offer valid for bookings made within 30 days prior to your arrival on Family Duplex Beach Villas only. Bookings made on this offer is Non Refundable.